Nobody enters a marriage with divorce in mind. However, the sad fact is that statistics show about half of all marriages end in divorce. Of course divorce is emotionally distressing, but it can also create havoc with your financial world. During this difficult time, Baker’s 26 years of experience will assure that you can divide your household without adverse tax consequences. Baker knows how to help clients receive their fair share. We can help you get a plan on paper in advance of your divorce to ensure you don’t get the short end of the stick. Divorce turns your marriage into a financial and legal battle for which you must prepare. Will you be responsible for making child support and alimony payments? How will this affect your budget and personal financial goals? How will your assets be divided? Will these hardships force you to consider bankruptcy? By working with the team at Baker, you can develop a strategy to minimize the financial damage of your divorce. 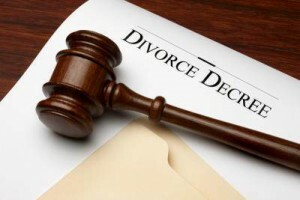 Some people wait until after the divorce to realize the financial impacts of the divorce. We can help you recover and develop a strategy to get back on track. Most likely the divorce impacted every element of your financial world, but we can help you regroup and consider your new options for investing. Going through a divorce is traumatic enough. You need the friendly face of someone who cares to help you get through this time. If you find yourself in this situation, Baker is only a phone call away to help you get started. Call us now at (812) 842-2254.